· Take part and get contracts worth hundreds of millions of Euros. · Learn how to participate in tenders. · Meet in person procurement officers of international organizations and NGOs present on site. · Learn about future trends in humanitarian and development assistance so that you can adapt your offer. · Visit the Humanitarian City and meet people who are involved in humanitarian aid every day all over the world. Why is it worth taking part in this event? UN tenders for $ 3,5 bln p.a. UN tenders in "Health" sector for $ 3,73 bln p.a. UN tenders for $ 300 mln p.a. UN tenders in "Peace&Security" sector for $ 367 mln p.a. UN tenders for $ 2,5 bln p.a. CONFERENCE – 11 JUNE 2019 9 a.m.- 5 p.m.
Visit the Humanitarian City during the Warsaw Humanitarian Expo. Meet people who are involved in humanitarian aid every day all over the world. Listen to interesting debates about how to prevent and combat the effects of natural disasters. Find out how to be posted to humanitarian missions carried out by international organizations. Meet young people from universities and schools who are also thinking about getting involved in helping others. You will learn how modern technologies, e.g. drones and virtual reality, help in preventing and combating the effects of catastrophes and natural disasters. In the Humanitarian City you will meet people who could not be found anywhere else! 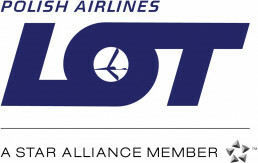 Partner of the Logistics, Communication and IT Area.